The Kii Peninsula points south away from Kyoto and Osaka and is one of the most remote and mystical areas of Japan, despite its proximity to these great cities. 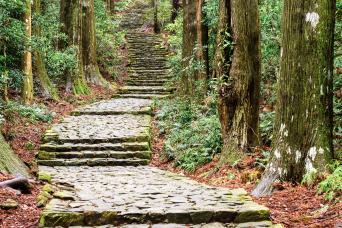 Long a place of pilgrimage, the Kii Peninsula is the site of the three Grand Shrines of Kumano (Kumano Sanzan). From the 11th century, successive emperors and their families made the long and difficult pilgrimage from Kyoto to Kumano. 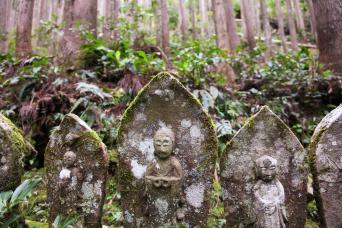 Several pilgrimage trails were established, among them the Nakahechi-do, Kohechi-do and Ohechi-do, collectively known as the Kumano Kodo ('Old Road of Kumano'). The Kumano Kodo Kohechi trail is the shortest route between the mountain-top Buddhist temple complex of Mount Koya and the Kumano Hongu Taisha Shrine, spiritual centre of the Kii Peninsula. A UNESCO World Heritage area, the Kohechi trail covers some of the most strenuous Kumano Kodo sections over a total distance of 70km / 44 miles. Our walk visits the most scenic parts, from the Kumano Hongu Taisha Shrine in the south all the way through to atmospheric Mount Koya, passing through rural forest trails and scenic villages. 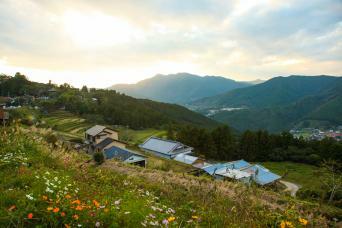 The trail offers local overnight stays in traditional hot-spring Onsen Ryokan, an intimate Minshuku farm stay and an atmospheric Shukubo pilgrim's lodging featuring traditional Buddhist vegetarian cuisine Shojin Ryori. Our self-guided Kumano to Koya tour begins with an early-morning train journey from Osaka or Kyoto. If you are coming from further afield, or prefer a more leisurely start, we recommend adding an overnight stay near the start of the trail in the picturesque hot-spring village of Yunomine Onsen or nearby Kawayu Onsen. 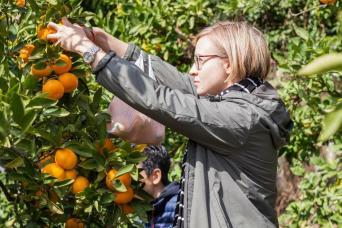 Please ask for information about our tour extensions - you might like to add a second night at the pilgrims lodgings in the mountain-top temple town of Mount Koya at the end of our Kumano to Koya self-guided walk, or to extend your trip with a stay in the peaceful, agricultural community of Asuka at a charming Japanese guesthouse or with a local family for a unique homestay experience. From Osaka or Kyoto, head south by train to Kii-Tanabe and onwards by bus to Hongu Taisha Grand Shrine, spiritual centre of the Kii Peninsula and the start of the Kohechi trail. Take a short pre-booked and pre-paid taxi ride to Yagio where your walk on this ancient route begins. 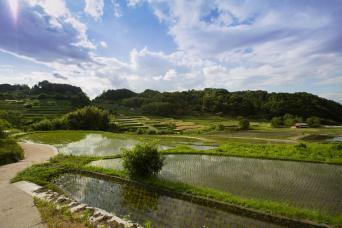 Follow a wonderful forested trail over Hatenashi-toge Pass with excellent valley views, fascinating cultural monuments (including a miniature Kannon statue pilgrimage) and picturesque villages. A brief bus ride avoids a short final stretch on a busier road at the very end of the walk. Finish the day with a relaxing thermal bath at your inn for tonight in Totsukawa Onsen.